What would Peggy Olson think of Auburn’s slenderizing salon? The Sunday night crack rock that is AMC’s Mad Men had TWER HQ digging with nostalgic gusto for a certain ad from The Auburn Plainsman, circa 1960 – the same year that America’s favorite fictional flowering feminist, Peggy Olson, was given her first almost-real assignment: To go home and test "The Relaxerciser." Apparently the Mad Men writers do their … [Read more...] about What would Peggy Olson think of Auburn’s slenderizing salon? The Snorg Girl goes viral! 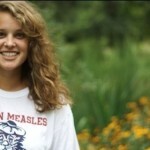 Twenty-six members of the Auburn student body were infected with measles in the spring of 1989... which doesn't sound like a lot until you consider that only nine cases were recorded in the entire state during the previous five years. The result? Classes canceled. Mass vaccinations administered. The outbreak inspired a Phi Gamma "Inoculation Party '89," (including "BYO … [Read more...] about The Snorg Girl goes viral!